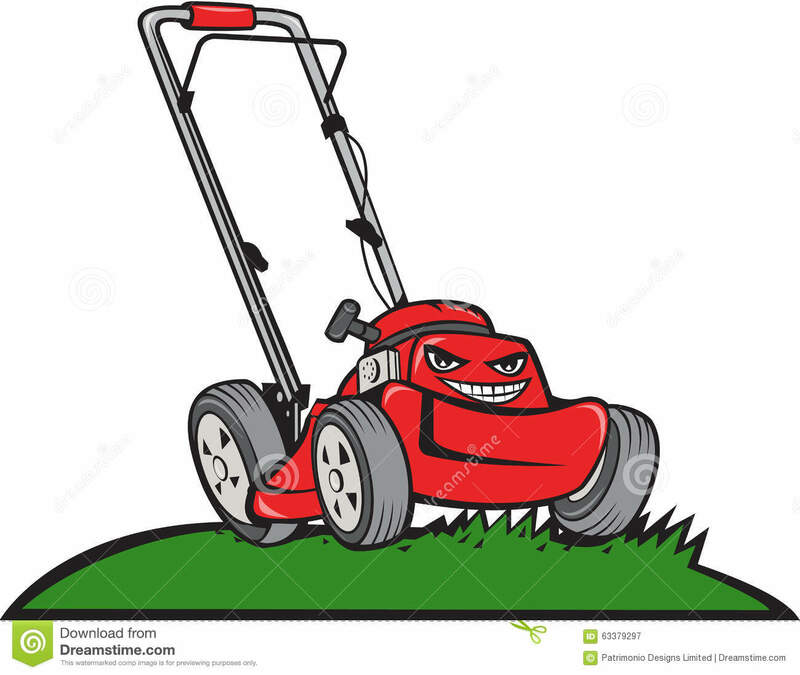 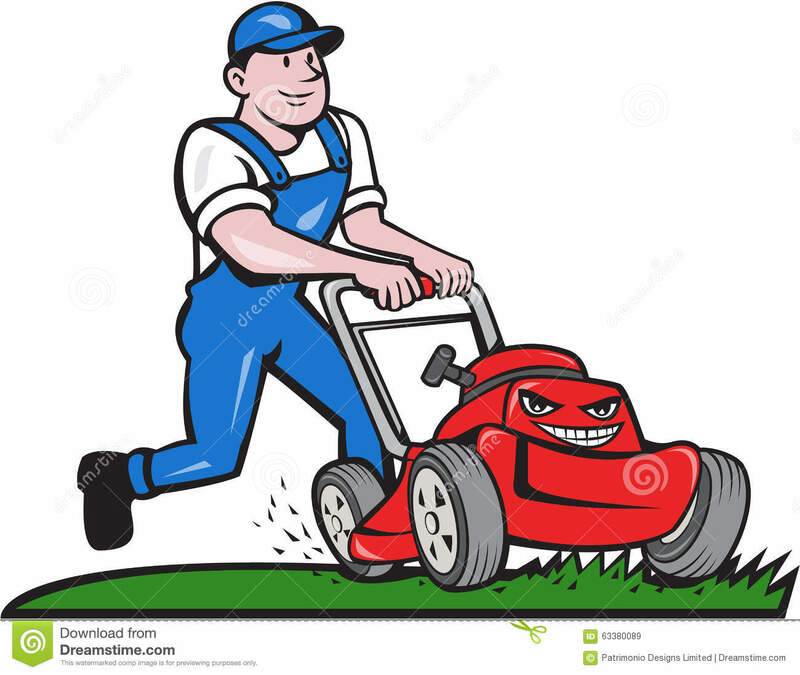 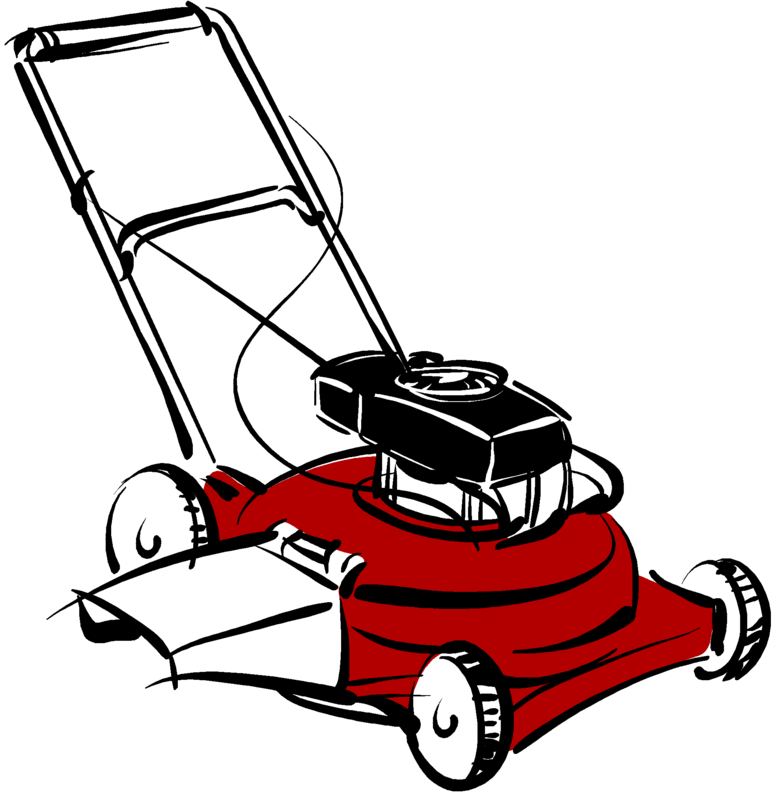 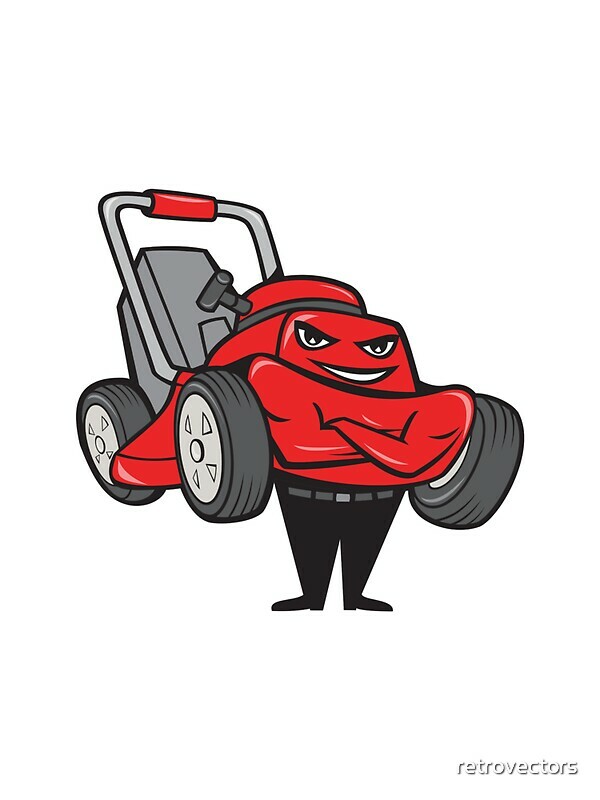 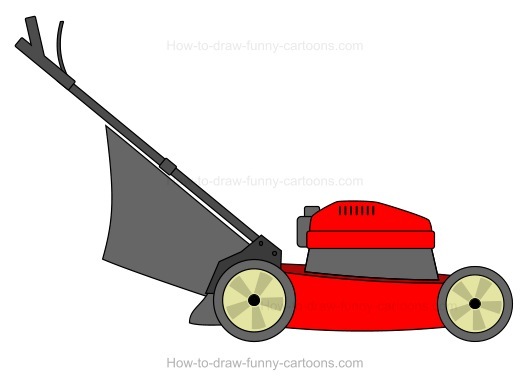 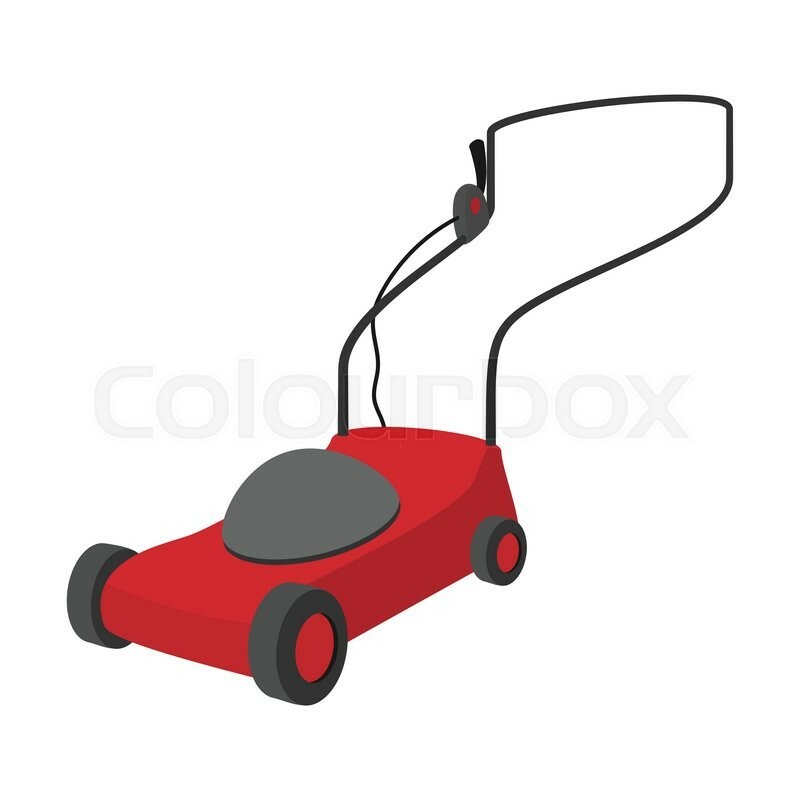 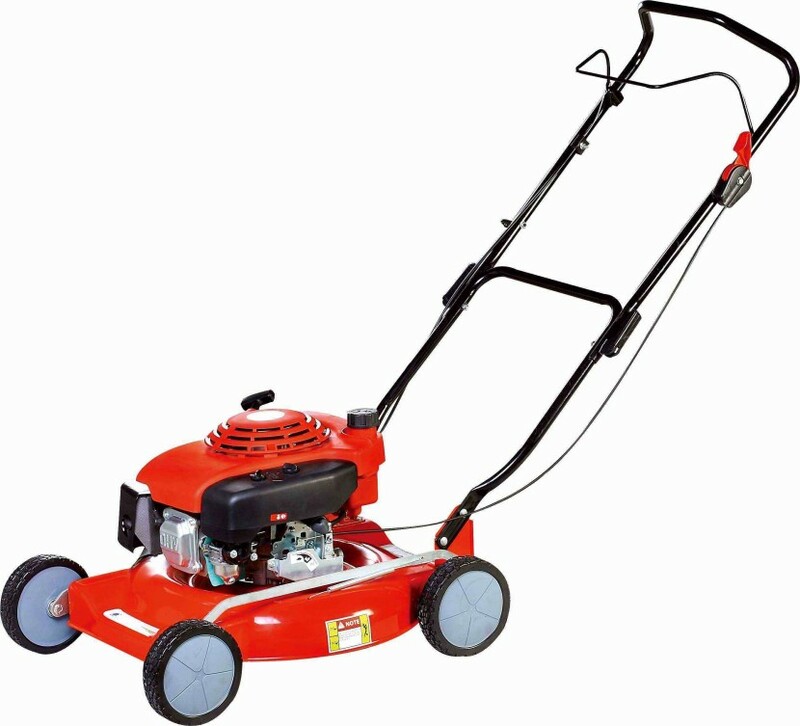 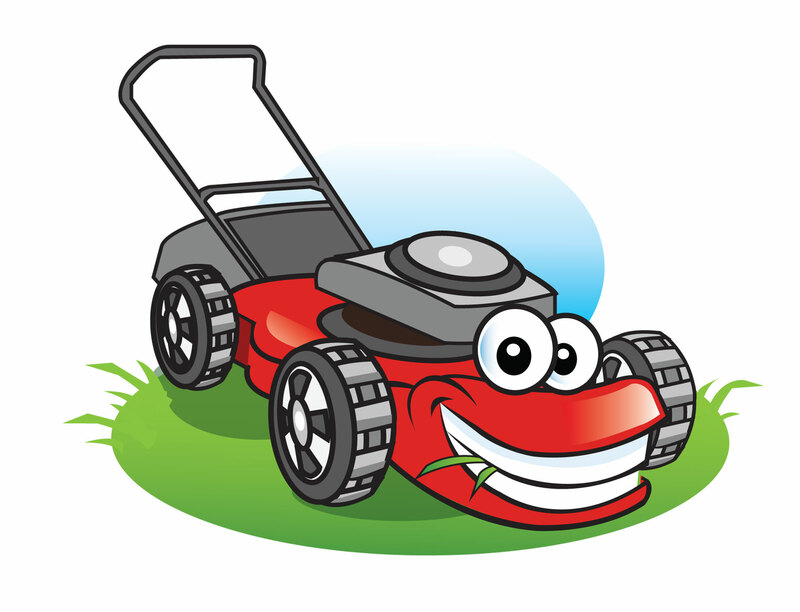 A lawn mower (also named as mower or lawnmower) is a machine utilizing one or more revolving blades to cut a grass surface to an even height. 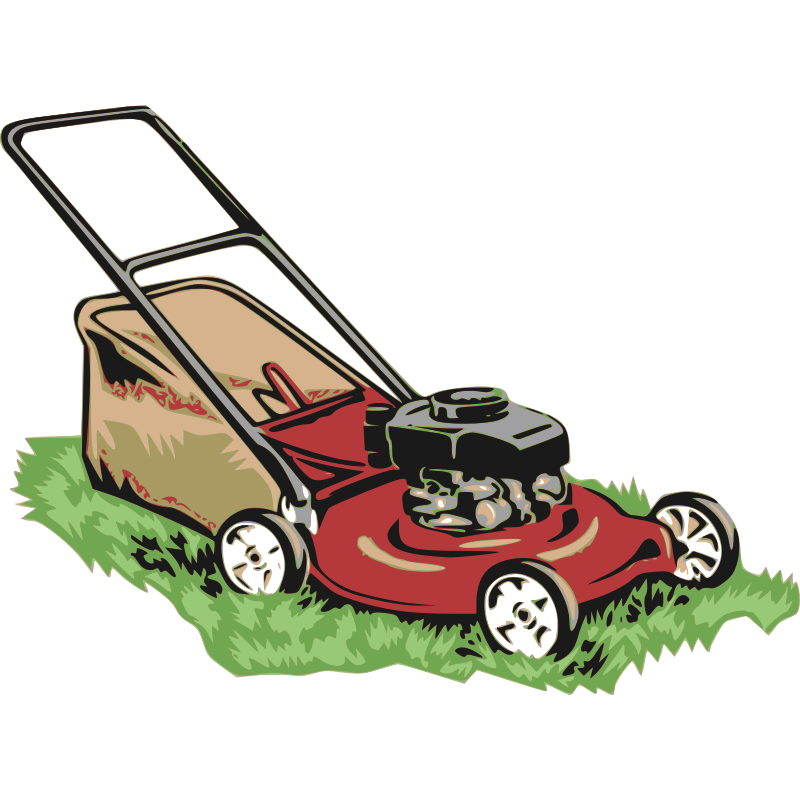 The height of the cut grass may be fixed by the design of the mower, but generally is adjustable by the operator, typically by a single master lever, or by a lever or nut and bolt on each of the machine's wheels. 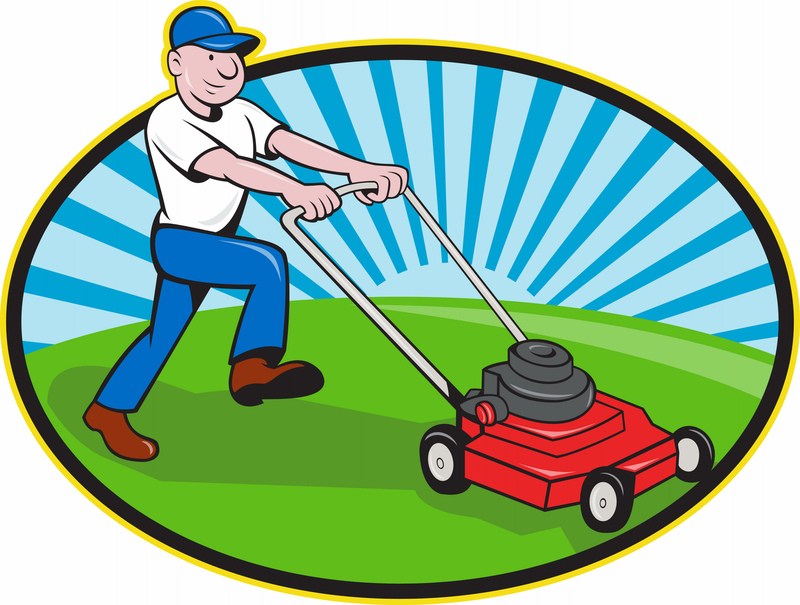 The blades may be powered by manual force, with wheels mechanically connected to the cutting blades so that when the mower is pushed forward, the blades spin, or the machine may have a battery-powered or plug-in electric motor. 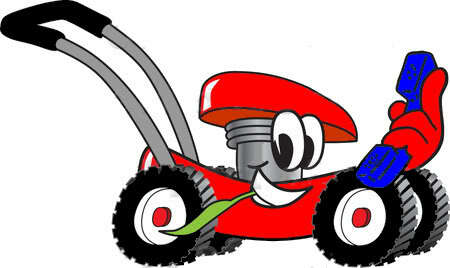 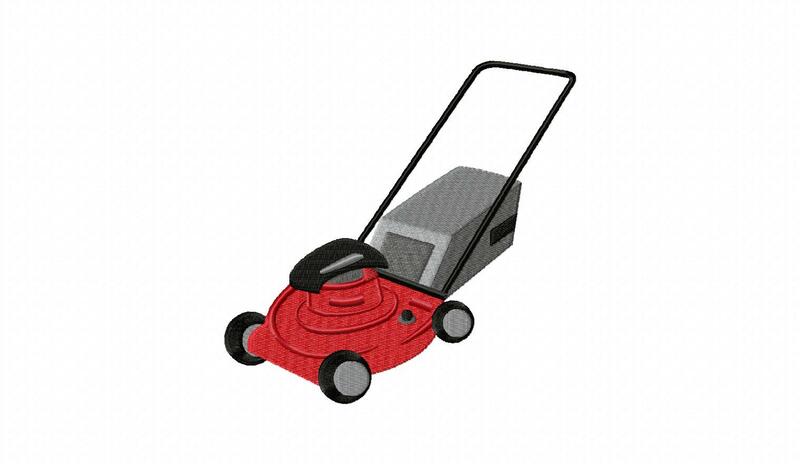 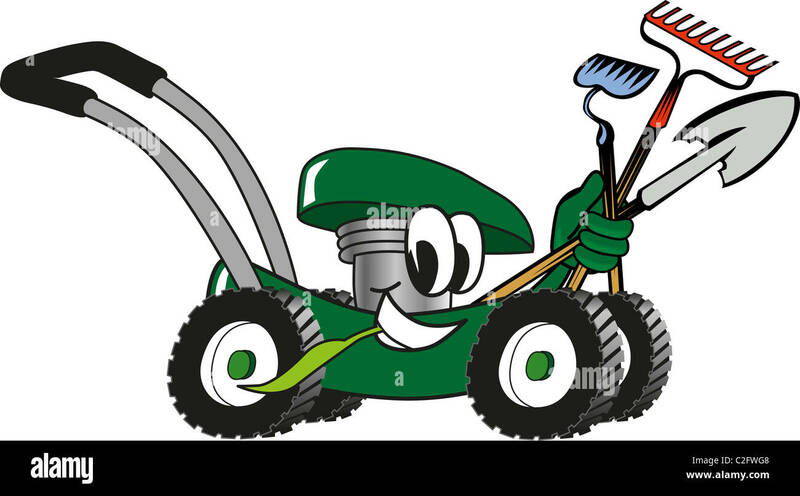 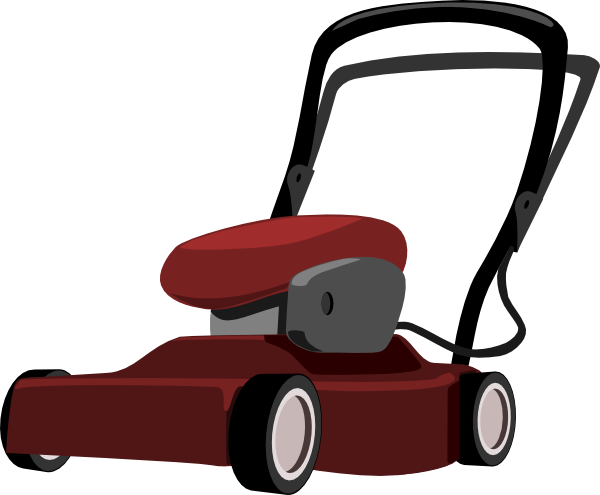 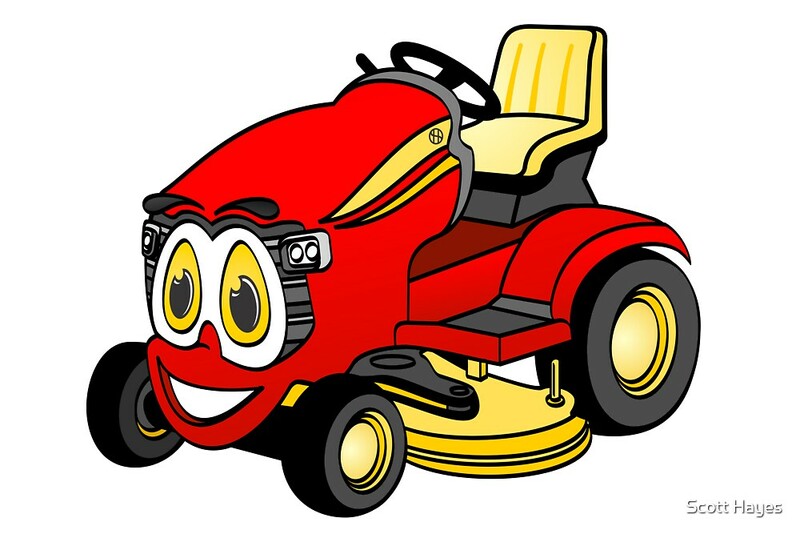 The most common self-contained power source for lawn mowers is a small (typically one cylinder) internal combustion engine. 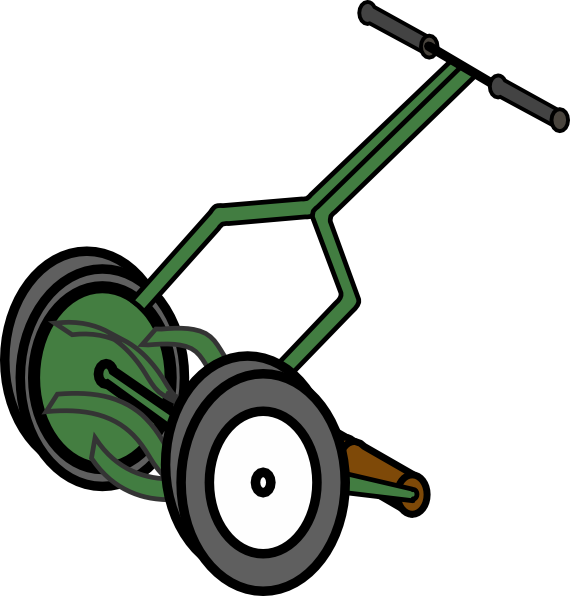 Smaller mowers often lack any form of propulsion, requiring human power to move over a surface; "walk-behind" mowers are self-propelled, requiring a human only to walk behind and guide them. 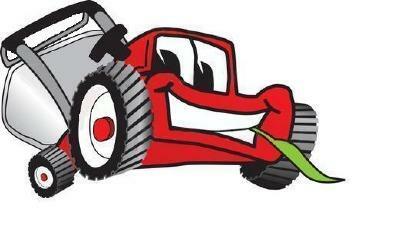 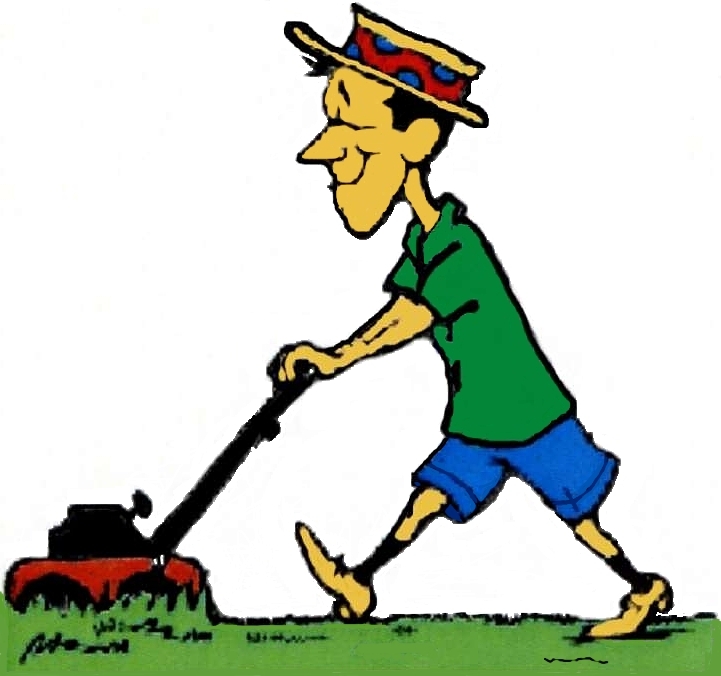 Larger lawn mowers are usually either self-propelled "walk-behind" types, or more often, are "ride-on" mowers, equipped so the operator can ride on the mower and control it. 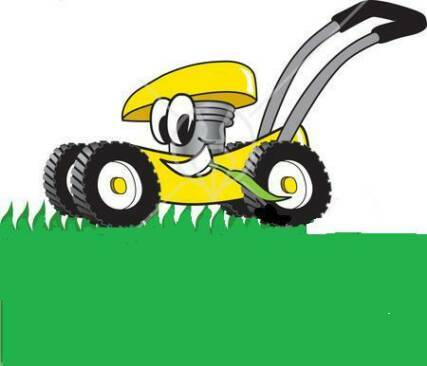 A robotic lawn mower ("lawn-mowing bot", "mowbot", etc. ) 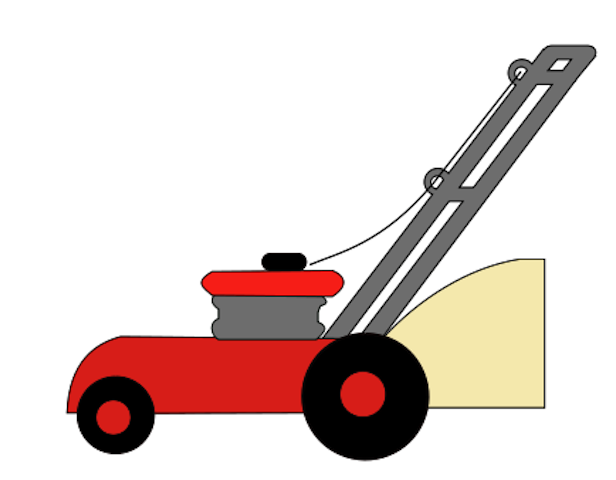 is designed to operate either entirely on its own, or less commonly by an operator by remote control.